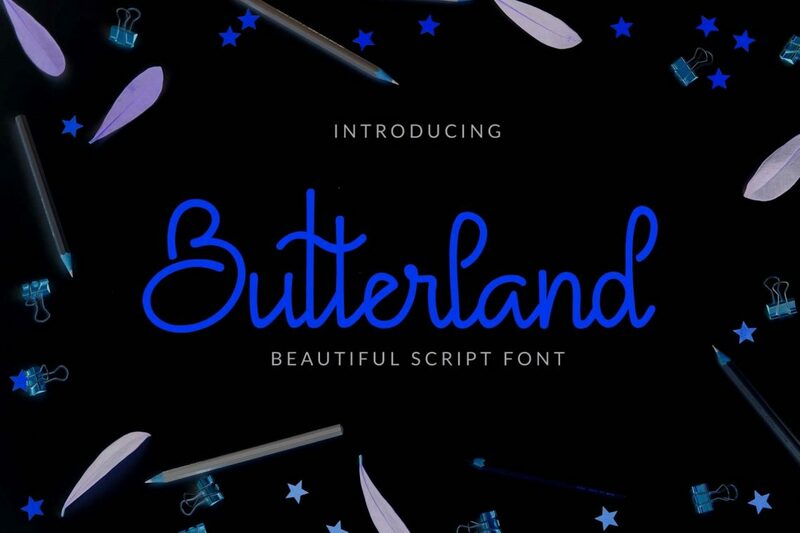 Download Butterland Script Font For Free. You’ve heard of Wonderland, Neverland, the Four lands, well, brace yourself today for another addition to the list: Butterland. This amazing font, combines cuteness and style in one. The lovely feel it carries with its calligraphy is all your projects need to capture the attention of everyone who sees them. It’s a script font with different (but always beautiful) designs for uppercase and lowercase letters, numerals, and punctuation. Check out the different ligatures that’ll make your calligraphy seem hand-written by a professional.